One of just 236 Master Sommeliers in the world, Patrick Okubo passed the exam on his 29th birthday in July 2011—making him one youngest to achieve the title. He also earned the Society of Wine Educators Certified Wine Educator (CWE) certification in 2010, a credential held by less than 400 people, and is also a Certified Specialist in Spirits (CSS). Okubo has been the Fine Wine Specialist and Wine Educator for Young’s Market Company of Hawaii since 2011, and travels throughout the state to help hotels, restaurants, and retailers train their staff and enhance their business with quality products. Previous to Young’s Market, Okubo helped curate some of the most formidable beverage programs in Hawaii. As Managing Partner at Formaggio Grill, he oversaw the dining room, kitchen, and business support operations. Formaggio Grill won the Hale ‘Aina Awards Gold Award for Best Wine Program from 2008–2010 and also won “Best Wine List” in the ‘Ilima Awards. 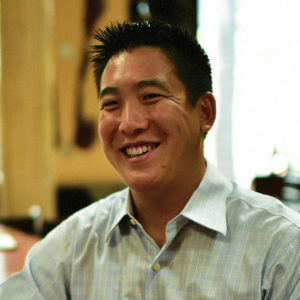 Okubo also previously served as the Wine Director/Restaurant Manager at Four Seasons Lanai and managed the fine dining restaurant at Manele Bay as General Manager. He supervised the wine program—encompassing 13 different outlets from restaurants to retail shops—for both Manele and The Lodge at Koele.